Amy describes herself as casual, outdoorsy, adventurous and someone who loves to laugh. She is definitely someone you can hang out with and have nothing, but fun! 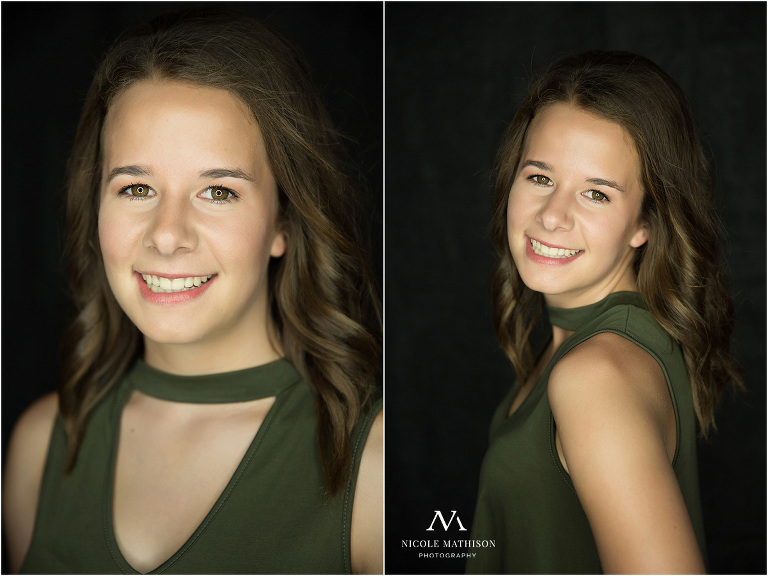 We started Amy’s senior pics with some ring light head shots, then drove into Rochester, MN for an urban photo session hitting some new spots and a couple of favorites as well. 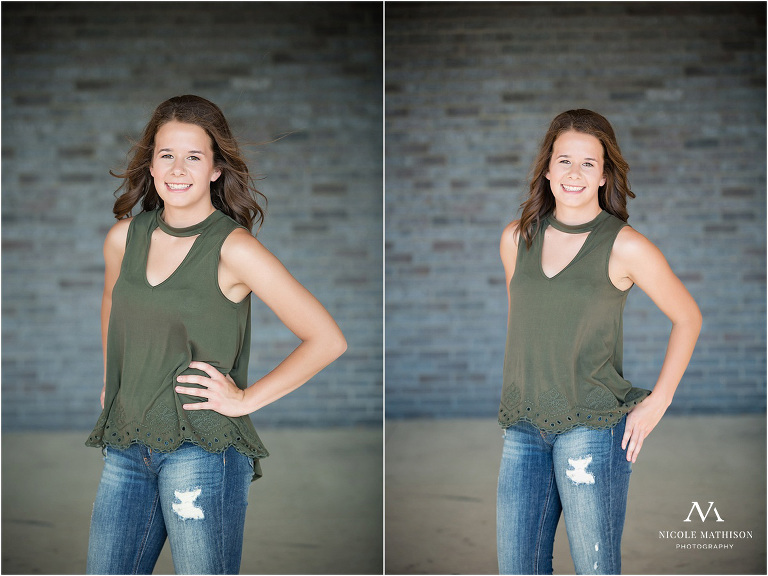 I have to mention that it was about one bazillion degrees for Amy’s senior photos, but you can’t tell by looking at her. She is a rock star when it comes to going with the flow and handling whatever life throws at her, even the hottest, most humid weather of the year, topped off with a little rain. LOL! For her urban portraits, we took refuge under the overhangs of buildings, in parking garages and cool elevators for a completely different look. We did have to wait out a heavier rain shower, but it was the perfect opportunity to break for a little snack. We were even blessed with a gorgeous rainbow and cooler temps after! Not to mention some great puddles for an edgy urban volleyball shot. 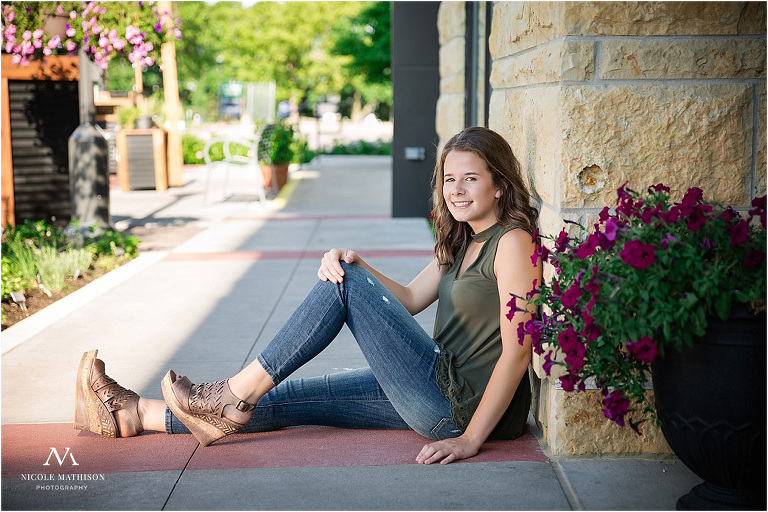 Many of my seniors opt for the Elite session because it gives them more time and the ability to take pictures on different dates, urban vs nature locations or adding sports sessions on to their experience. That was perfect for incorporating a pet into her session and giving Amy a different look with straight hair. Amy and her older sister Chrissy fight over who their dog, Millie, loves more. I don’t know. It’s a toss up, but Amy was sure feeling the love during her pet pics. © 2019 Rochester and Southeastern MN Custom Senior Portrait Photography | Newborn-Family Photographer|ProPhoto6 WordPress Theme|Design by Northfolk & Co.